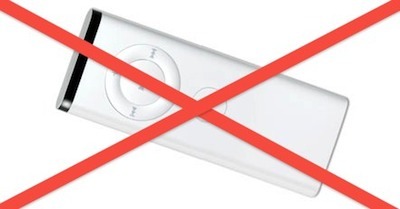 Want to know why you should turn off the Apple Remote? Try this: grab an Apple Remote Control and head to a place with a lot of Macs in a single room, like a school library, coffee shop, etc. Now aim the Apple remote in the direction of the Macs and start pressing buttons. Since most users never disable the remote, you can basically hijack their computer as Mac OS X will begin to launch Front Row. Just keep hitting play and you’ll end up activating their iTunes media, start playing songs, videos, etc, all from the remote. People end up dumbfounded as their computer suddenly has a life of it’s own. The only defense against this prank? Pair or turn off the remote. I tried this out with my MacBook Pro next to a few others, and without pairing the remote this does work exactly as suggested, all machines will launch Front Row in unison, which can then play your iTunes media library. If you repeatedly hit “play” you’ll access whatever movie is at the top of their Movies playlist or directory. This is definitely an amusing prank albeit a very annoying one if you’re on the receiving end of it. Another one of our readers mentions that in his IT group they disable the feature because “anything that can launch programs without strict user approval needs to be turned off”, suggesting the remote could be a potential security risk. So now that we’ve had our fun, unless you use the remote for a Mac media center (in which case you should pair it), you might want to disable the thing. And why again should I disable the remote? Mine is paired to my computer. I expected something real behind this lurid title. Most people don’t pair their remotes, good job thinking ahead! I’ve been carrying my apple remote with me in my backpack over the past few years just for this very reason. Its a great prank, especially in a classroom with stadium style seating. Reminds when I had a Palm Tungsten T3 and an IR app, “testing some “features” while visiting a large shopping center. Somehow, the TVs in the display windows started to go static or showing different channels.